A riveting"Game of Thrones"meets"Arabian Nights"love story. -" US Weekly"
Every dawn brings horror to a different family in a land ruled by a killer. Khalid, the eighteen-year-old Caliph of Khorasan, takes a new bride each night only to have her executed at sunrise. So it is a suspicious surprise when sixteen-year-old Shahrzad volunteers to marry Khalid. But she does so with a clever plan to stay alive and exact revenge on the Caliph for the murder of her best friend and countless other girls. Shazi's wit and will, indeed, get her through to the dawn that no others have seen, but with a catch . . . she's falling in love with the very boy who killed her dearest friend. Renee Ahdieh is a graduate of the University of North Carolina at Chapel Hill. In her spare time, she likes to dance salsa and collect shoes. She is passionate about all kinds of curry, rescue dogs, and college basketball. The first few years of her life were spent in a high-rise in South Korea; consequently, Renee enjoys having her head in the clouds. She lives in Charlotte, North Carolina, with her husband and their tiny overlord of a dog. 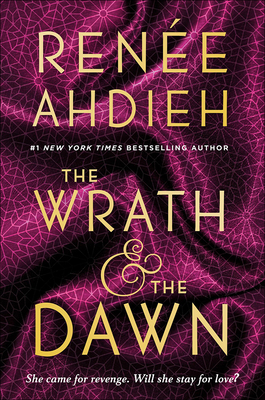 "The Wrath and the Dawn" is her debut. "From the Hardcover edition.""